Design Brief: The Page Mews Development in Battersea is a milestone for The Pleasure Home - offering state of the art technology previously costing £100,000 plus - for a fraction of the outlay. 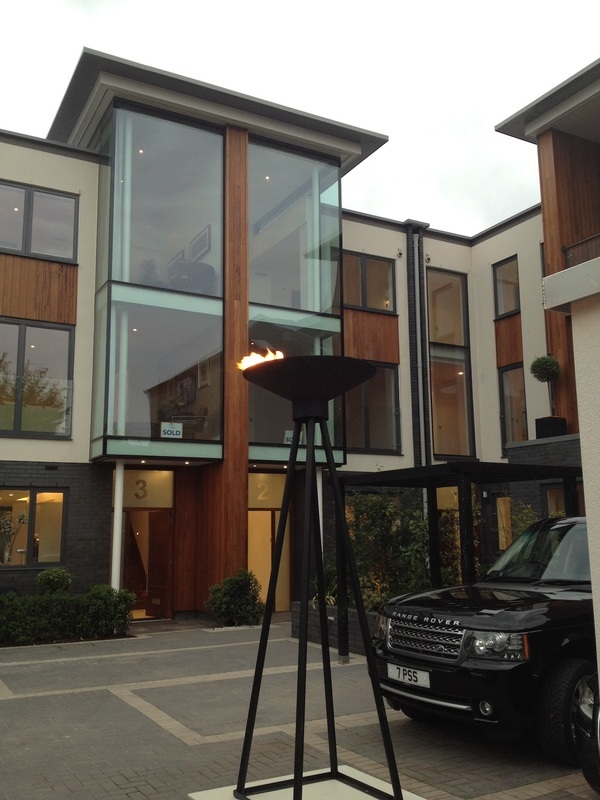 The end result, mouth dropping Home Automation for nine properties in the £1M bracket in Central London. 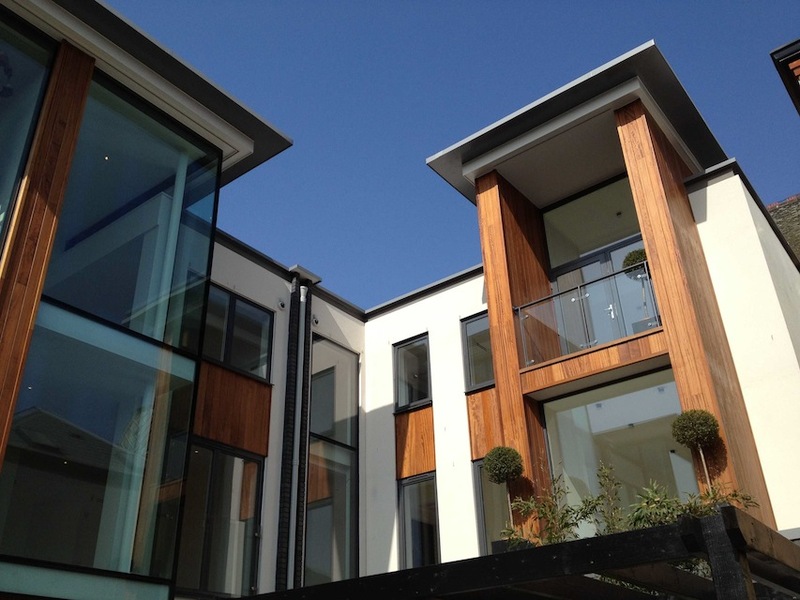 This has been achieved using non-proprietary, mass market and therefore highly reliable products, based around the Apple iPad and iPhone, for whole home remote control covering lighting, blinds, curtains, CCTV and of course AudioVisual systems throughout the house. The heart of the control system is iPad iRemoteControl system. It was the first iPad-based system in the world to control a whole house in 2010. Apart from being rock solid in operation, it uses instantly recognisable high resolution on-screen remote controls. 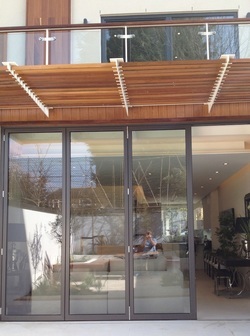 The end result, a highly intuitive screen that anyone can use instantly to control every aspect of a 21st Century Home. iRemoteControl has had numerous enhancements over the past two years, the most recent being ultra high definition graphics - really lifelike, onscreen, "virtual" remote controls for the iPad Air, iPad Mini and iPhone. Wow Factors: Low energy lighting behind the Wine Rack adjacent to the Dining Room creates an eye catching focus, hidden LED strip lighting in the Hallway to increase the perceived ceiling height & light, a totally hidden 5.1 Surround Sound system in the Living Room, electric remote control TV pivot arm in the Kitchen and a secure but removable iPad inside the front door for instant control of everything (see images at bottom). Control of Light: One of the key features of Page Mews, is the huge amount of light flooding into the properties, via the large windows. The challenge was how to easily operate the black out blinds and curtains, bearing in mind the three metre plus ceiling heights on the upper floors. After extensive research on behalf of Vision Homes, the Developers, The Pleasure Home recommended a new range of silent electric blinds and curtains - the latter fitted on a curved rail to wrap around the window return and so be hidden from view when closed. Each home comes as standard with remote control lighting in the Lounge and Dining Room, with upgradeability for whole house control. Each room can have up to four "lighting moods" customised to suit individual requirements. Control: As you come into each property, there is an iPad magnetically attached to the wall. It features as a wall panel remote control and also automatically charges the iPad. However, unlike fixed wall panel remotes, it can be simply detached for use in any room in the property. For instance, a single button press, will set the desired lighting mood for the whole house or a particular floor. 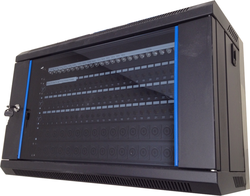 All equipment is centralised within a smart rack for ease of maintenance. The standard Patch Panel that comes as standard with every house, allows each room to be easily configured in seconds - whether you want a wall point to be a telephone line or a Gigabit PC connection. Hidden Technology: The only equipment visible in each room are the latest ultra-thin LED TVs. Even the SkyHD receivers are centrally located. Clients can watch a Movie in the Lounge, pause it and continue watching in their Bedroom. The system also features optional features such as Movies on Demand and centralised access to the Client's personal music, video and photos from any room in the house. Whether you are a Developer or a Property Owner, wishing to increase the value or/and the saleability of your Property - contact The Pleasure Home for a unique approach to delivering a Smart Home solution for lower costs and greater Client satisfaction!